Please help me to congratulate Carl Scott, the winner of Humbled by the Journey: Life Lessons for My Family... and Yours by Miguel "Mike" Benito Fernandez (with Martin Merzer), or Mike Fernandez. Congratulations, Carl! Next month, I will post my full review of this memoir, which I spotlighted earlier this month. 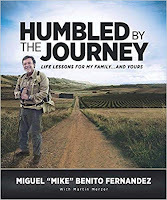 Thanks to everyone who participated in the giveaway for Humbled by the Journey. If you didn't win this time, please take a look at the other giveaways listed on my blog. You may find other books you're interested in. Are you having a snow day? Many parts of the United States are getting some heavy snow right now. Please stay safe, and if necessary, stay indoors (and read!). I live in CA, so we're having our usual, lovely weather, 63º and sunny, but I'm a big coffee drinker in the cool mornings here. 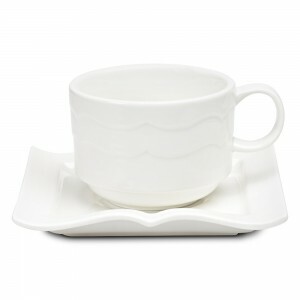 Regardless of the weather, though, winter is a good time to enjoy a hot cup of coffee or tea. 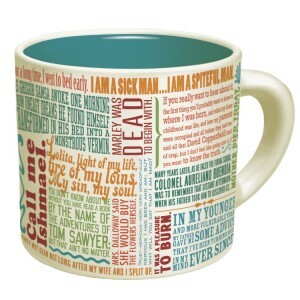 Why not treat yourself, or another book lover, to one of these clever literary mugs from GoneReading.com, a fantastic online shop? These mugs are reasonably priced ($11.99 - $12.95), and all of the after-tax profits go to help fund libraries and reading programs around the world! And, if you order before the end of February, input the code SUKOS15 to get 15% off any non-clearance merchandise! Which one is your favorite? I've featured just a few here, but there are many other literary mugs available, as well as numerous other fun items for book lovers. I'm a huge fan of GoneReading! 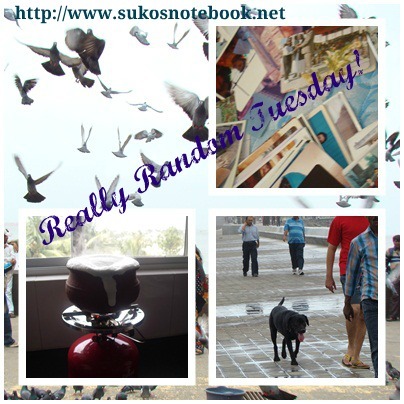 Have a terrific Tuesday, and thanks for stopping by! Your comments are welcomed. We had 27 inches of snow. Eeeeekkkk! Can I move to CA? Oh, my goodness, Yvonne! But you now have the perfect "excuse" to stay indoors and read some cozies. Yay! Thanks Suko, I'm very pleased to have won. I like the mugs too. I'm a big banned books fan so that's got to be my favorite. Congrats to your winner, Carl Scott. I like these mugs. Our book club usually has an apporox. $10 gift that this would suit. It is so early though for the next holiday season, but I will check back. I hope you have them again ahead of the holiday. We only had a dusting here in Va.
We had 2 feet of snow come down yesterday! I am on Long Island New Your and that is a lot for us! 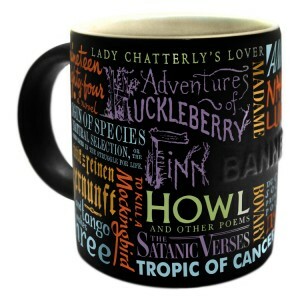 I love those mugs and looking at them has convinced me to get some kind of literary mug! We have been having snow and icy weather here, I'm so ready for the warmer weather. 63 and sunny sounds like a dream! I too enjoy my morning cup of coffee, I like that First Lines of Literature Mug! I'll have to keep those in mind. I ordered once from them, through your blog, it was for a set of book page holders. I'll have to try and remember to post a pic some time. Naida, I've been enjoying pictures of your snowscapes, but I hope you get some warmer days this month. Thanks for stopping by!